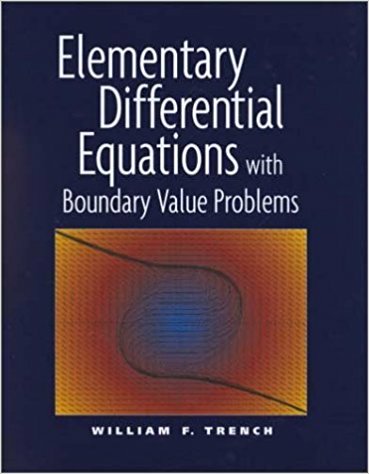 William F. Trench wrote:Elementary Differential Equations with Boundary Value Problems is written for students in science, engineering, and mathematics who have completed calculus through partial differentiation. If your syllabus includes Chapter 10 (Linear Systems of Differential Equations), your students should have some preparation in linear algebra. An elementary text should be written so the student can read it with comprehension without too much pain. I have tried to put myself in the student's place, and have chosen to err on the side of too much detail rather than not enough. An elementary text can't be better than its exercises. This text includes 2041 numbered exercises, many with several parts. They range in difficulty from routine to very challenging. An elementary text should be written in an informal but mathematically accurate way, illustrated by appropriate graphics. 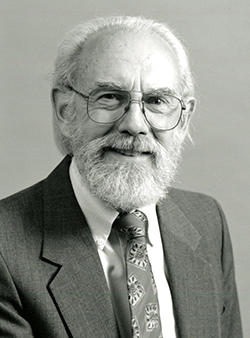 I have tried to formulate mathematical concepts succinctly in language that students can understand. I have minimized the number of explicitly stated theorems and definitions, preferring to deal with concepts in a more conversational way, copiously illustrated by 299 completely worked out examples. Where appropriate, concepts and results are depicted in 188 figures.